Are the printed roses fresh or artificial? All the flowers on our website are fresh. Does the printing effect the lifespan of the flower? No, it doesn’t. the printed flowers will last the same amount of time as non-printed flowers. How long do the flowers last for? After the order is received, the flowers are expected to live anywhere between 7-15 days before starting to die off. There are some flowers with a shorter life span like Peonies, Tulips, and Hydrangea. Do I need to put the flowers in water right away? When it comes hand bouquets, we use a sealed water tissue to keep the flowers alive. However, this would be affective for 24 to 48 hours max. you don’t have to be in a rush, but when you get a chance, remove the plastic wrapping covering the water tissue and place the bouquet in water. Any other arrangement that’s not a hand bouquet comes in foam. So, no need to worry about water in this case. Does the printing decrease the life span of the roses? What Flowers can I print on? In order for the printing to look proper, it needs to be on petals that are smooth. The best flowers would be roses and calla lilies. How do I add phrases to my roses? Every bouquet that contains roses, would have the option to “Add Phrase to Your Roses” in the bottom of the product page. While clicking on it, you’ll have the options to add as many phrases as the roses. You can either choose a pre-existing phrase, where the one rose would cost 10 extra. Or a costume phrase, this way there will be an extra charge of 50 QR per phrase (on the total, not per rose) plus 10 QR per rose. Why are printed roses 20 if I want to add them on a normal bouquet? But they’re 16 in pre-set bouquets? Pre-set bouquets are made in a way that would decrease our labor and material cost. If a costumer wants 10 roses with 1 different phrase on each, it will cost us allot to provide that. But if they chose one of the bouquets containing 10 “I love You Roses”, this will make our job easier. Can I order through the phone or WhatsApp? How can I pay if I order through the phone or WhatsApp? You can always go with the cash on delivery option. But if you’d like your order to be sent directly to someone. Then we can process your credit card payment over the phone. Or we can send you an online payment link to your E-mail or as a text message. Do you have special prices for companies? Yes, we do. Please contact our corporate sales rep at +974 77733402. We can also provide the corporate prices to home merchants, provided they have an official CR. Can I pic up the product my self? Unfortunately, we are an online store and not a physical store. So, making sales exchanges between us and out retail costumers in our facility violates the laws. But our delivery team will be more than happy to meat you anywhere you like. 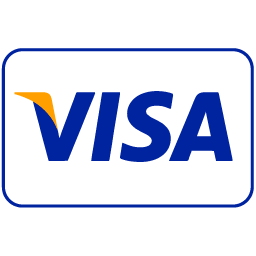 We do credit card payments online and cash on delivery. We can also provide an online payment link for WhatsApp or phone orders. 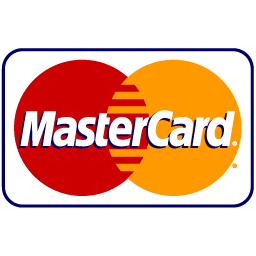 Can I pay by credit or debit cards on delivery? Can I cancel or reschedule an order?